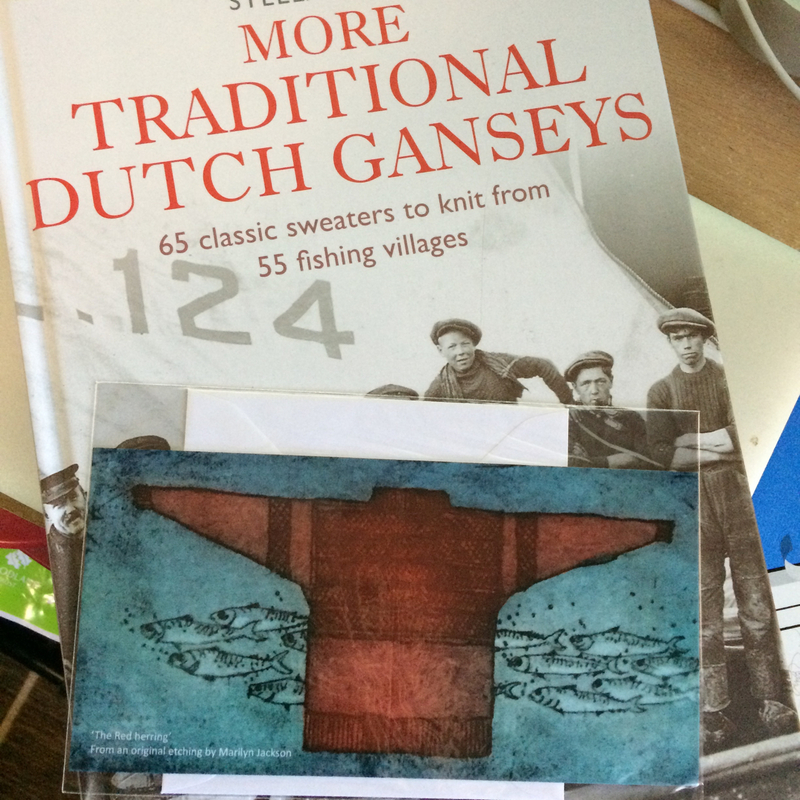 Following a visit to Stella Ruhe's Dutch Gansey exhibition earlier in the year, I decided that I had to make one. I scored this amazing stuff at Fibre East from john Arbon. It's their 'Harvest Hues' blend in Pomegranate. This card from the exhibition shows that although Ganseys are traditionally in blue, they look great in other colours. I spun the jumper quantity of fibre during Spinzilla 2017 (700g of this fibre, making over 2000 yards, which should easily make the jumper and maybe a pair of wristies to match.) 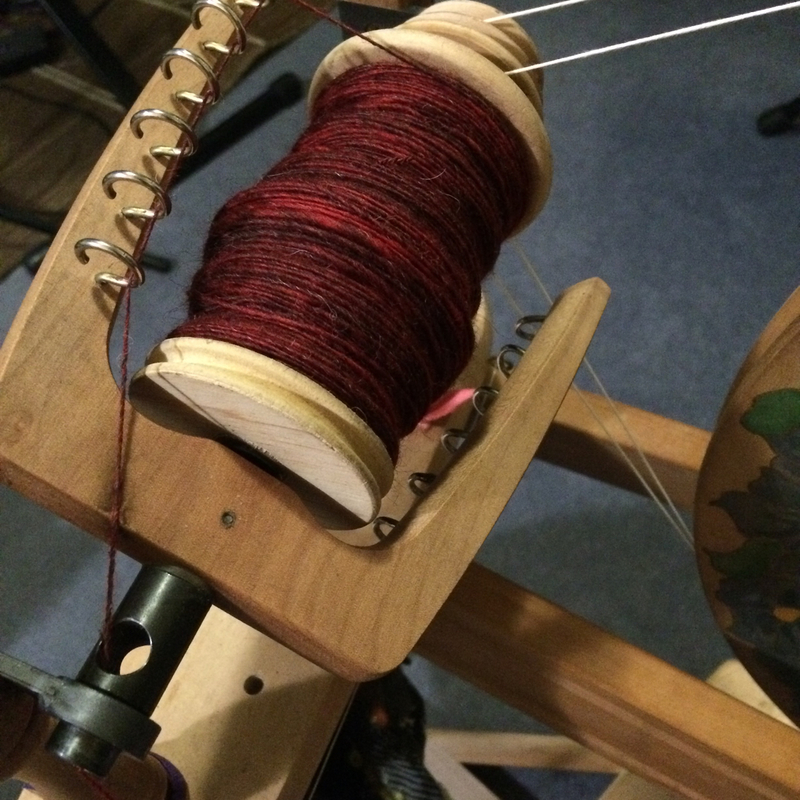 I made fauxlags / punis from the fibre, making for a fast spin. 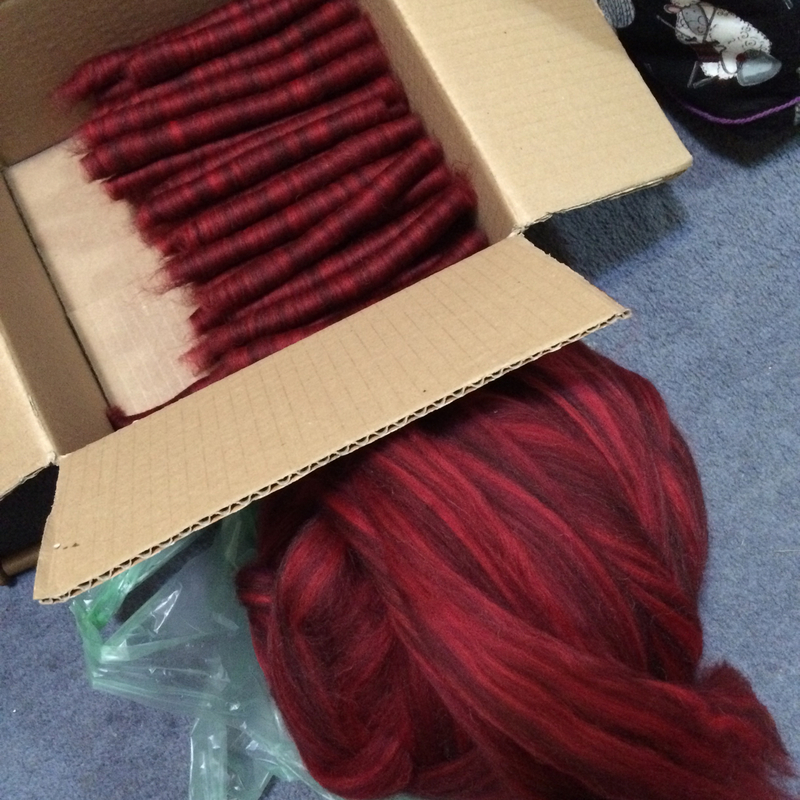 The resulting yarn is quite woollen. 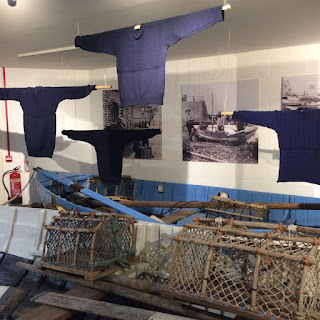 Whether Ganseys should be made from woollen or worsted yarn seems to be arguable, I'd welcome comments. I chose the Beatrice pattern by Victoria Graham, which happens to be a free one. This is the first cast-on. 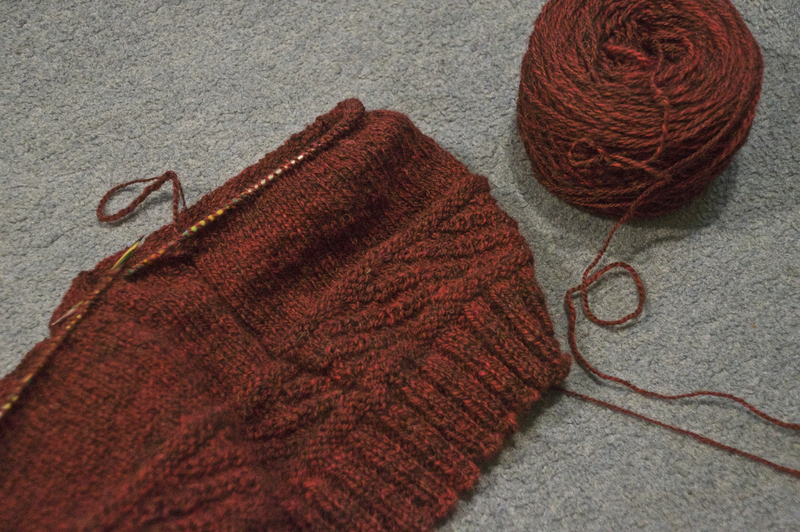 At the suggestion of a friend, I went with the 'guernsey cast-on' for the second start. It took two starts. 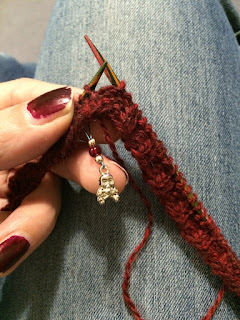 I did swatch, I went up a needle size (from 2.7mm to 3mm) because the swatch was a little small. After a while, the first attempt was obviously too big, and so I ripped and started again with the smaller pattern size. Not a problem, I'm loving the knitting, and m now onto the long stockinette body section. 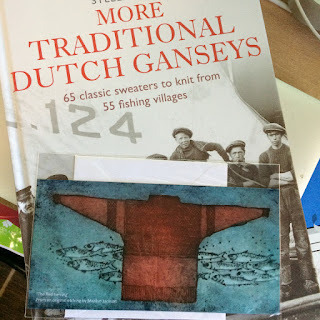 The tradition of ganseys encourages customisation. I've gone with the twisted rope motif around the waist. I like it. I'll consider the other symbols on the pattern when I get to them. If you'd like to 'gansey-a-long', I've started a thread here. It would be good to share progress and thoughts. 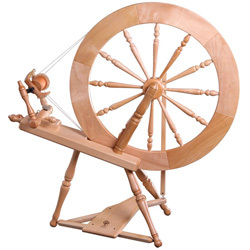 I would like to personally congratulate you as your blog Stitchin' Bints has been selected by our panelist as one of the Top 20 Spinning Blogs on the web. I personally give you a high-five and want to thank you for your contribution to this world. This is the most comprehensive list of Top 20 Spinning Blogs on the internet and I’m honored to have you as part of this!